If it's your first time moving to Fort Bragg, North Carolina, a.k.a the Army’s mother ship, you’ve got some research to do! You’ve probably asked around and heard a lot of mixed feelings about Fort Bragg and Fayetteville. The base has legions of fans but also some detractors, mostly because of preconceived notions and unpreparedness for arrival at an iconic military base and town. 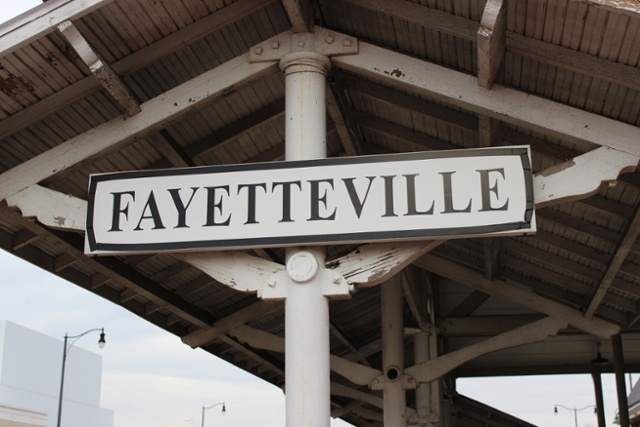 The two names--Fayetteville is the largest nearby city--are often used interchangeably for several reasons. Simple geography is one. There’s not much room between where Fort Bragg ends and where Fayetteville begins. The huge population of military families that immerse themselves not only on base, but within the neighborhoods of Fayetteville is another reason. Lastly, it’s a known fact that without each other, Fayetteville and Fort Bragg wouldn’t be as successful and productive as they are today. Understanding the Fort Bragg/Fayetteville dynamic is just the beginning of the list of important things you need to know before moving to Fort Bragg. 1) There are several other popular other cities that surround Fort Bragg. You’ll find a strong military presence in Pinehurst, Southern Pines, Raeford, Sanford, Spring Lake, and Hope Mills. Depending on where the service member works on Fort Bragg, one of these cities may be closer to their job. 2) Fort Bragg is not just a busy base, it is B-I-G.
Its population reaches 80,000 people and encompasses 163,000 acres. In other terms, Fort Bragg makes up 20 square miles and touches six adjacent counties. 3) The Fort Bragg School District is one of the last military installations that is governed by DODEA. It oversees seven elementary schools providing for students in pre-K4, one elementary school for pre-K5, an intermediate school housing grades 5 and 6, while the junior high school encompasses grades 7 through 9. High schools are operated by localities, depending on where you live. 4) Fort Bragg resembles a small city. Some of the amenities include: 34 restaurants, 15 medical clinics, 11 churches, 13 fitness outlets, an ice rink, campground, library, hotels, and movie theaters. There are two very large commissaries, North and South Post, and the CDC system operates 12 facilities. 6) There are lots of options for housing. Many families are motivated by schools in choosing their preferred location of a house. But, if you do have a particular style of house in mind, you’ll likely have the option to find single family homes, apartments, townhouses, and condos. There are plenty of international restaurants to be found, thanks to service members’ travels and their families. Authentic German, Korean, Vietnamese, Middle Eastern, and South American restaurants dot strip malls throughout the city. 8) Fayetteville boasts two convenient travel options. Amtrak has a historic station in downtown Fayetteville, and further out, a regional airport with easy access takes flyers to major cities like Atlanta, Charlotte, and Washington, D.C., every day. 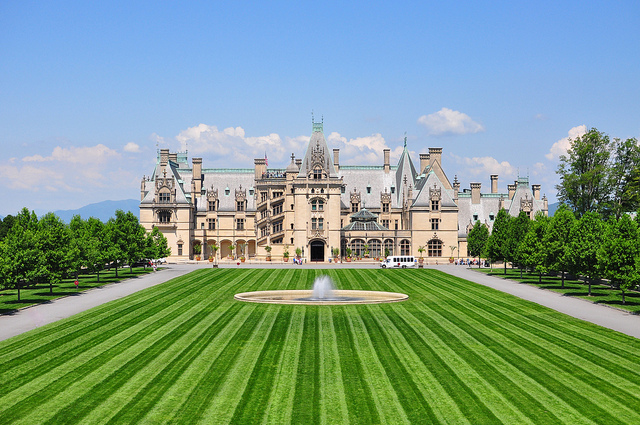 If you prefer to drive, Raleigh is the nearest large city, about 1.5 hours away. 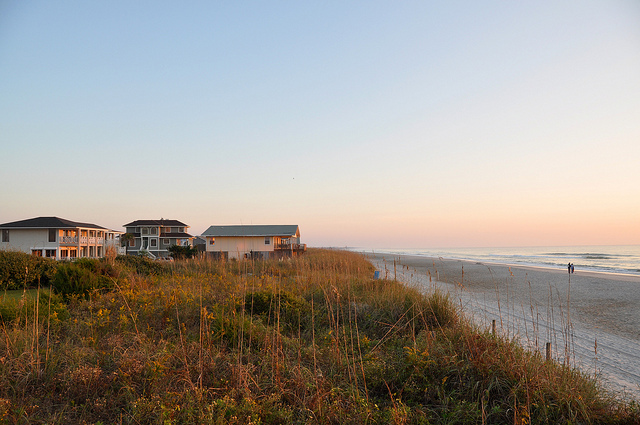 9) Families stationed at Fort Bragg enjoy close proximity to both mountain and beach getaways. Going west to the mountains is a 2 plus hours’ drive, while headed East to the beach in Wilmington is about 2 hours as well. 10) Most people really enjoy the moderate climate Fayetteville experiences. Hot to warm to mild temperatures are the norm with higher than average humidity. Occasional colder temperatures and some winter weather change up the scenery and provide coveted snow days just because there isn’t the support to maintain roads properly. 11) The area continues to grow. Fort Bragg and Fayetteville have been enduring and perpetuating growth opportunities in many capacities, which is a good thing, but with improvement comes necessary the harassment of growth--traffic. Getting tens of thousands people on and off base each day proves challenging at the heart of commute times, especially if a construction project is active. 12) Military related commerce is a driving force in Fayetteville’s economy. You’ll find traditional military gear and outfitter stores are plentiful, but you’ll also notice military spouses getting in on the economy selling their own creations, whether brick and mortar or virtually. 13) Fort Bragg is one of the better bases for supporting military spouses and their careers and educational opportunities. Throughout the year, major non-profits lead conferences, and career/job bolstering events are the norm on and off base. The spring is going to be a fun time in downtown Fayetteville, not only because of traditional attractions like the Dogwood Festival, but because Major League Baseball is debuting the Houston Astros' new Class A Advanced Affiliate, the Woodpeckers. The new stadium is slated to open for the 2019 season. As it's often said of any new military destination, especially one as storied as the Fort Bragg/Fayetteville area, your experience living there is framed by what you embrace of the location. There is certainly a very specific lifestyle associated with living in a dominant military town, but there are plenty of things to do and see, especially for a first time PCS. Repeat PCS'ers will know how to circumvent nuisances that are attached to such a large installation. 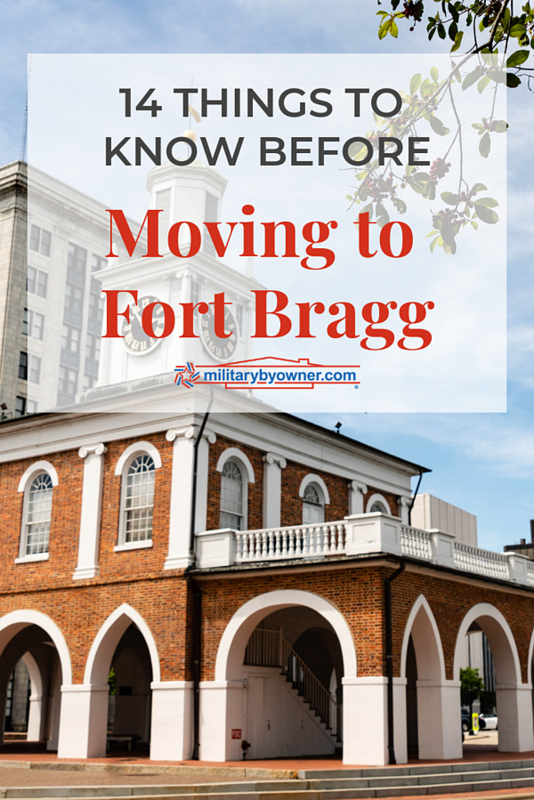 Half of the battle of moving to Ft. Bragg is learning where to live and what to do. 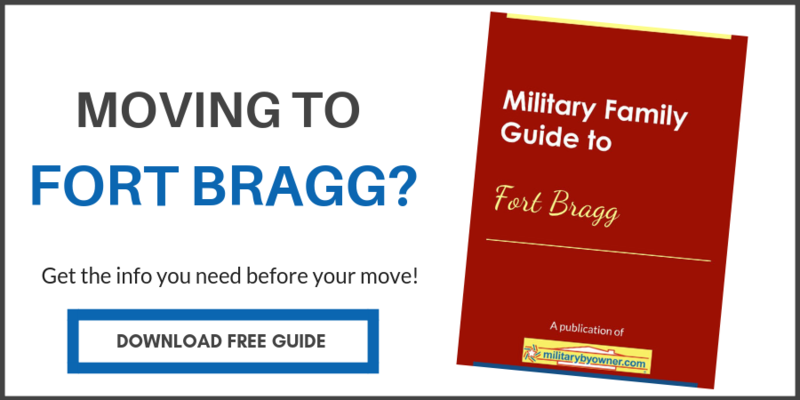 Download MilitaryByOwner’s new free Military Family Guide to Fort Bragg to remove so much hard work out of the process. You’ll learn where many families choose to live and why. In addition, the ebook contains insider tips for smoothing the transition--from fun to be had to spouse careers to investigate!